Reel Progress LLC unveils Creepers theatrical movie poster featuring final art and credits which include all actors starring in the anthology. Creepers will be available on DVD starting October 7th, 2014! 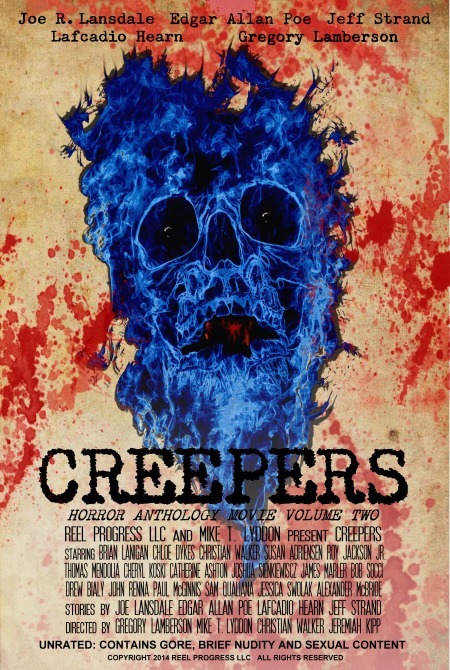 This entry was posted in horror anthologies, horror comedy, horror dramas, indy horror and tagged Creepers Horror Anthology, Creepers movie, Creepers theatrical movie poster. Bookmark the permalink.